Home » Cord Cutting » Other TV Technology » What is Kodi and is it Legal? Update: I released a podcast episode that covers this article in even greater detail. Listen below or find more options in the show notes. Kodi (Formerly known as XBMC) is a free, open source, software media center. Kodi allows you to play TV, Movies, view pictures and more on various devices. Normally, users install Kodi on a supported device or computer connected to a television. The user configures Kodi by setting up the location of various video sources. Kodi also accesses content over the internet using various “add-ons” created by members of the Kodi open source community. Therefore, add-ons do not come “out of the box” with any official version of Kodi. Whether it’s your personal video library or other user-created add-ons, Kodi brings all these sources together in one media center for users to enjoy. Furthermore, Kodi reads the meta-data associated with video files so it will display box covers, descriptions, and any other information associated with the video file. In essence, Kodi is a software-based media jukebox that you hook to your television. Yes. An official install of Kodi is 100% legal. It’s essentially an extremely robust media player. Kodi, by itself, comes with no video content. That is up to the user to supply. That is also where the legal gray area begins. Kodi may give you the means to watch any video source you have access to; but if you are watching licensed content which you didn’t purchase you are viewing pirated content. If you are viewing movies ripped from a disk that you purchase, then you paid for the content. However, if you installed an add-on that provides access to a bunch of Disney movies you didn’t pay for, then someone is breaking the law. I’ve gotten into many a debate with various folks out there. Many think that just because they can download Kodi, install an illegal addon, and have free access to Netflix content everything is fine. It’s not. Check here for a list of Kodi approved add-ons. The issue is compounded when dubious online sellers install Kodi on a device along with a bunch of add-ons that pirate content. They then sell it to unknowing consumers. The purchaser starts the device and assumes since they paid money to the online vendor, they are not viewing pirated content. Unfortunately, they don’t know they just bought a modified Kodi install and may be watching unlicensed content. While I don’t recommend this, the very least you should do is use a VPN to keep your traffic anonymous online. For more information, check out my detailed article on finding the best VPN service based on your needs. There have been a wave of sellers who decided to make a quick buck modifying Kodi, installing broken piracy addons, advertising that Kodi lets you watch free movies and TV, and then vanishing when the user buys the box and finds out that the addon they were sold on was a crummy, constantly breaking mess. These sellers are dragging users into the world of piracy without their knowledge and at the same time convincing new users that Kodi is a buggy mess, because they never differentiate Kodi from 3rd party addons. Every day a new user shows up on the Kodi forum, totally unaware that the free movies they’re watching have been pirated and surprised to discover that Kodi itself isn’t providing those movies. Kodi has gone on the offense on this. They are bringing legal action against those soiling their reputation. Kodi is a great media center product. I for one am pleased to see them trying to shut these guys down. When it comes to getting started with Kodi I strongly recommend following Kodi’s quick start guide. It has everything you need to get started. Furthermore, it is arranged as a wiki making for easy navigation. The community is great at documenting the software and answer just about any question you could have. Kodi can be used as a fully functional media hub. That means you can install it on a computer, hook the computer to the TV, and it can handle all the streaming you require. You can install add-ons to install your favorite streaming service, but as I’ve said, you still need to subscribe to the service to remain within the law. If you are looking to install it on a device you can connect directly to your TV; I would go with the Nvidia Shield. It’s the most powerful OTT device on the market. In addition to KODI, it runs almost every other streaming service you would want. You can even install something like MythTV to act as a back end personal video recorder or PVR. Combining MythTV with Kodi will give you all the function of a DVR, and it’s completely DIY. Kodi even describes how to do this on their wiki. Many users of Kodi will install it on a computer that they dedicate as a “home theater” device. While this will allow you to take advantage of just about everything Kodi has to offer, many are satisfied with using Kodi to consolidate their various streaming libraries. To that end, Kodi can be “side loaded” on an Amazon Fire TV Stick. That makes for an affordable option with Fire TV Sticks only costing $49.99 on Amazon. This is possible on any Amazon Fire TV or Amazon Fire TV Stick. Don’t fall for the ruse of those claiming you need to jailbreak your Fire TV Stick. It can be done with any Amazon Fire TV fresh out of the box. While I’ve experimented with Kodi, it’s a bit of a project to manage the updates and add-ons. 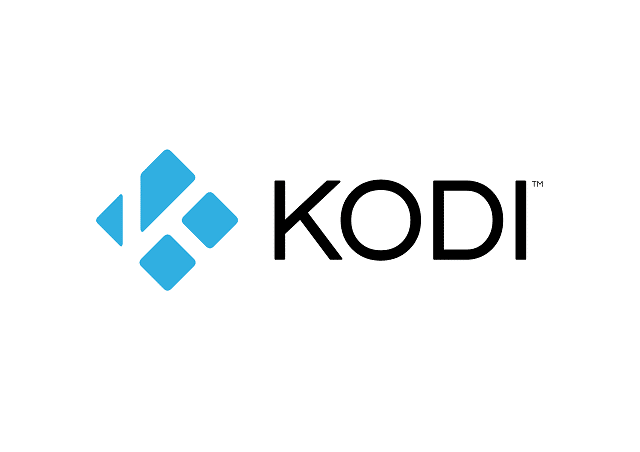 If you fancy yourself a bit of tech tinkerer, then Kodi should be a good fit for you. However, if you hate tinkering, you may want to go with a more commercially available solution for cutting the cord like Roku or other ways to watch TV without cable.